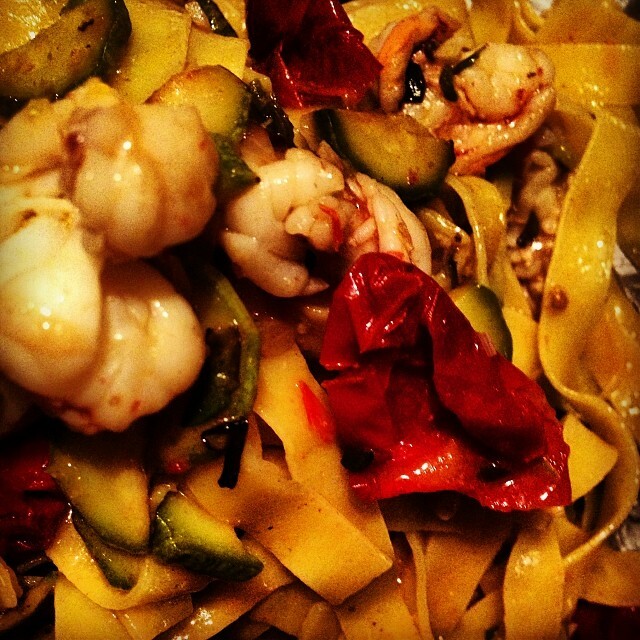 Fettuccine with shrimp, zucchini, semi dried tomatoes and fresh marjoram. The picture is not much, but I assure you that they are delicious! .